Can Running Out of Fuel Damage Your Car? 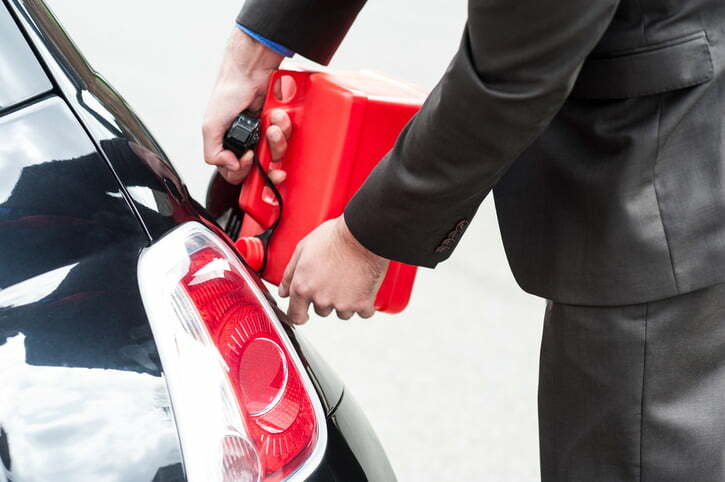 Home » Blog » Engines » Can Running Out of Fuel Damage Your Car? Running out of fuel might be annoying and even embarrassing, but it can also be bad for your car. And despite our best plans, it does happen, so it’s worth knowing what to do and what not to do if you find yourself stuck with an empty tank. In this guide, we’ll delve into what happens under the bonnet when you run out of fuel. What Happens to a Car When You Run Out of Fuel? When the tank’s left to run completely empty, the engine will start to draw in air along with the last dregs of fuel. This air could stop the engine from starting again, as it throws the fuel-air mix needed for combustion way off kilter. For this reason, it’s never good to let your car run totally dry, even if you know there’s a fuel station close by or have a can of spare fuel in the boot. It puts the engine under a lot of unnecessary stress and could mean you struggle to get going again even after topping your car up, thanks to a build-up of air in the fuel tank and combustion chamber. What Damage Could Running Out of Fuel Cause? Engine damage isn’t always guaranteed when you run out of fuel. In fact, modern engines are built to withstand a lot more than simply running dry. Where the problems start, however, is if you drive an older car or if you regularly run out of fuel. When a car’s low on fuel, it’ll draw anything in to keep itself going, including the debris and particles that build up at the bottom of the fuel tank. Older cars are particularly susceptible to pulling through debris, which is why you should get in the habit of never allowing the fuel level to sink too low. If debris from the fuel tank is drawn into the fuel lines and directed towards the engine, it can lead to blockages in the filters which prevents the engine from performing at its best or even not starting at all. The sediment can be difficult to remove once it’s lodged in the fuel filter, which is why we’d always recommend adding a shot of Redex to help keep the system clean. If you own a diesel car, you’ve probably heard the dangers (and potential expense) caused by running out of fuel. That’s because the powerful fuel injectors in diesel engines start pulling in lots of air once there’s no more fuel in the tank, and this can have a catastrophic effect on different components within the system. 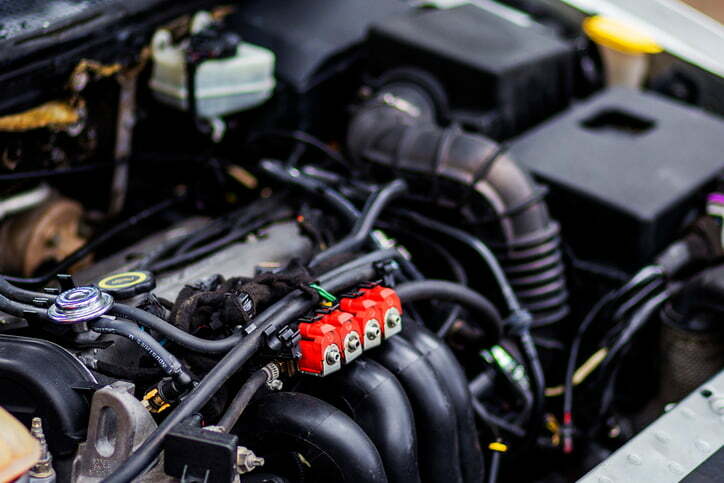 When the fuel system becomes completely clogged with air, it damages the injectors and filters, and can make it incredibly difficult to get the engine turning over again. Unlike with a petrol engine, which will turn over with a couple of pumps of the accelerator after refuelling, getting a diesel going again may need a professional with the right tools. For a diesel engine to start again after running empty, it’s often the case that air needs to be bled from the fuel system. This can be an expensive and time-consuming process that should be left up to the professionals, as they’ll need to remove the filters, clean and blow out all the fuel lines, and potentially replace the injectors and pump. If you drive a hybrid, you still need to think about your fuel, because running out of both fuel and electricity really would leave you stuck. And you can keep your hybrid’s fuel system cleaner using Redex Hybrid. When you’ve safely refuelled your car and need to get the engine running again, there are a couple of things you can do to make sure the engine fires without putting too much strain on the ignition, starter motor and battery. It can take a few tries to get the engine going because the fuel hasn’t circulated through the system, so it’s a good idea not to crank the ignition over and over again, as this will only drain the battery. Press the accelerator pedal to engage the fuel injectors more quickly. This will get the fuel circulating through the engine to help the car start. Turn the ignition to the ‘on’ position without starting the engine. Doing this a couple of times will allow the electric fuel injectors to begin circulating fuel without a high demand for power being placed on the battery. Make sure the car has had plenty of time to cool down. 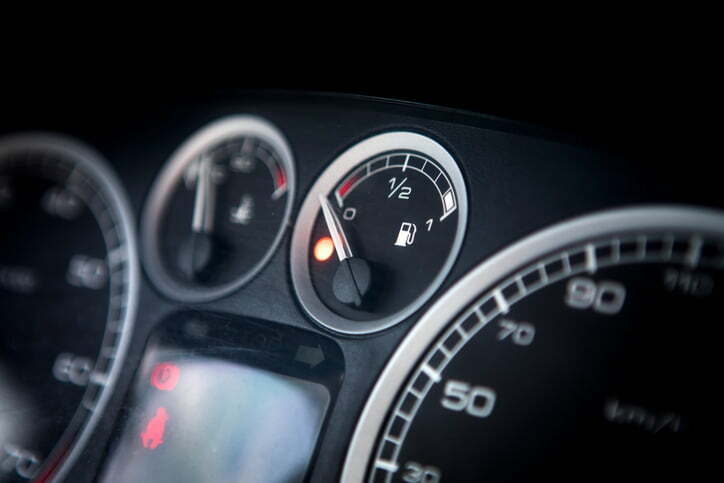 Running out of fuel could cause the fuel pump to overheat and fail, and it may take a while for this to drop back to a normal operating temperature, even after refuelling. You might think that the odds of running out of fuel are slim. But, these things do happen, especially if you get stuck in bad traffic for a long time. The best thing to do is to be prepared, so if you’re going on a long journey or it’s bad weather make sure you’re fully topped up. We’d also advise you to always keep your fuel tank topped up to at least a quarter full. That way, the engine is only ever drinking clean fuel, and not the dirty stuff at the bottom of your tank. You should also use Redex fuel system cleaner regularly to keep the fuel system clean and improve the health of your car’s engine. For more information and to browse our complete range of innovative fuel additives, visit the Redex homepage today. What Fuel Should You Use in Your Classic Car?